While promoting his new World War 2 movie Miracle At St. Anna, director Spike Lee has confirmed that things are moving forward for his planned sequel to Inside Man, his most successful movie to date. According to Lee, screenwriter Terry George (Reservation Road) is currently in talks with Universal Pictures to pen the script, which will feature the original film’s characters. 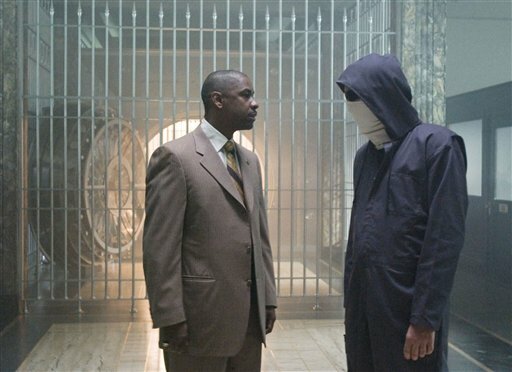 Personally, I have trouble figuring out how an Inside Man sequel would work. Another heist by the same crew, being investigated by the same cop? I guess we’ll find out when the movie is released come 2010. This entry was posted in American Films, Heist Movies, Sequels and tagged Inside Man, Miracle At St. Anna, Reservation Road, Spike Lee, Terry George, Universal Pictures, World War 2, World War II by Mr Hollywood. Bookmark the permalink.